London - South Africa’s Paralympic athletes returned home from London on Tuesday, one medal short of their previous campaign in Beijing, but not for lack of trying. While many countries have improved and reeled in the gold medals that determine their teams’ final positions, South Africans have still achieved personal bests, as well as African and South African records for their efforts. 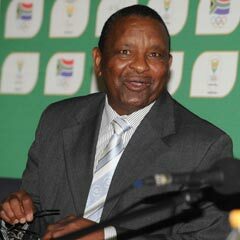 "It is quite clear that the world is not waiting for us," said South African Sports Confederation and Olympic Committee (Sascoc) president Gideon Sam. "We have to catch up with the world, and, in doing so, we need to do our planning far more thoroughly than we’ve done in the past. "We tried, and we’ve learned a lot over the past four years and we can only become better as we move forward." Sam said the process to prepare for the 2016 Paralympic Games in Rio de Janeiro would start in earnest as soon as the athletes returned home. He added that Sascoc would look for input from the athletes, as well as representatives throughout the provinces. "We’ll be going from city to city, talking to people before we form the final blueprint for 2016," he said. "We’ve seen how seriously other countries take sport, and we were fortunate to hold our own when so many of the other countries have improved. "Look at Tunisia, who were never a threat to us before and now they have finished 14th." South Africa finished in 17th position, securing 29 medals, including eight gold, 12 silver, and nine bronze. Four years ago, in Beijing, South Africa finished sixth with 30 medals, of which 21 were gold. "We have to work harder and do our planning properly if we want to go from strength to strength," said Sam. "I can promise you, it shall be done." Chef de mission Pieter Badenhorst said he was proud of the team. It was particularly pleasing to see a new generation of athletes coming through. "Someone said to me that looking after athletes was like herding cats," Badenhorst said. "You can’t control athletes - they’re here to do a job and they have worked too hard for an event like this, so they don’t need me to control them. "This has been a team of champions and I’m extremely proud of them. "There have been many highlights - each and every performance was a highlight. "But seeing youngsters like Dyan Buis get three medals (silver in T38 100m and 200m, and bronze in long jump) and Anrune Liebenberg (silver medal in T46 400m) was magnificent." He also paid tribute to his seasoned campaigners, particularly Natalie du Toit, who was retiring from all forms of competitive swimming. Badenhorst said there had been no better way to end off than to hear the South African national anthem bring down the curtain on the Games. "I must just say, I have never seen South Africans get so excited as we did when we won the 4x100m relay gold medal," he said. "And to Natalie - thank you for what you have done for us and what you meant to this team for so many years."